Make the most of your exhibiting experience and maximise your return on investment at Fi Europe & Ni this year. Our wide range of sponsorship opportunities cover 7 categories, which you can choose depending on your specific business objectives. Whatever your company size, budget, or business goal, our sponsorship opportunities have got you covered! A creative banner on www.figlobal.com and www.ingredientsnetwork.com puts your brand in the spotlight. We deliver a digital newsletter email to 80,000 global food professionals giving exclusive visibility to your brand and deliver your valuable content reaching the most qualified audience in the industry. Onsite interview taken and to broadcast minimum 3 times a day on all TV screens. You will receive the scripted promotion film to use after the show. Attract visitors to your stand with a promoted message in our official Event mobile App. Our online directory attract an average of 35,000 unique visitors per month and is the sourcing platform for year round brand awareness and lead generation. Every visitor who logs into the venue’s FREE WiFi service will be first drawn to your company logo which will be integrated into the registration login page for the WiFi service. Visitors will use these throughout the show days to carry all their event information and promotional items, giving your brand ultimate visibility. With this item, your brand name will be the first thing attendees will see when they arrive onsite. Show pens are distributed around the show in key areas, such as registration areas, seminar theatres and networking areas. They will be an item which every single visitor and exhibitor will carry for the duration of the whole event! Have your branded table to raise brand awareness while attendees are resting, networking or preparing for the next booth visit. Position yourself as a pioneer of the future of nutrition. Facilitate cutting-edge knowledge sharing. Network with a highly engaged expert audience. Paid-for conference on show floor. Reach your audience through a targeted and non-commercial approach pre-, during and post event as well as the opportunity to participate as a speaker. Through partnering with us at our Networking breakfasts, you will gain the exclusive opportunity to profile your brand to inﬂuential F&B professionals. Position your company as a supporter of the up and coming innovative companies in the industry with this unique opportunity! Position your brand as leading industry expert by presenting case studies or discussions addressing the latest trends in our spotlight topics at the Industry Insights Theatre at the show. One of a kind when it comes to brand visibility and to help attendees navigate to your stand! Highlight your stand location with this high impact box banner - visible from all angles within the hall! The box banners are available on specific locations of aisle crossings. Make your brand visible from all corners in the main aisle. hese effective banners will guarantee you to steal the attention of visitors from your competitors! Double sided 1.80-metre-high boards in strategic locations with your branding. Advertise a 2x2-metre or 1x1-metre graphic in the middle of your aisle with your branding and stand number. Located inside the hall or at the hall entrance. Get visibility from all possible sides – use the pillar directly near your booth as advertising space to attract visitors’ attention. Make your brand visible from all corners in the main aisle. Boards enable visitors to easily orientate themselves and find their way directly to your stand. Sponsor a dedicated area onsite where people can rest and prepare their next booth journey. Inform visitors outside the hall about your stand so they already know where to meet you. Three pillar signs will make your brand noticed by all attendees entering through the Hall 6 entrance. Capture the attention of attendees walking towards the main entrance of the venue. Be the first brand seen by all visitors traveling by taxis! Brand these giant canvas and gain maximum exposure! In the main entrance of Hall 6, where the visitors flow is dense, this location is ideal to promote your brand. Exceptional visibility from halls 6 and 7, the escalators branding gives a chance for a true creative positioning. Set yourself apart by branding these eye-catching steps situated next to the escalator in hall 6, where the show attendees’ footfall will be the highest! Display your company advertisement on a glass surface on the staircase where there is lots of traffic. Display your company advertisement on a glass surface next to the coffee shop which attracts lots of traffic. Approach attendees where they are the most receptive - brand your company or raise awareness of your location. These door stickers will welcome the visitors into the exhibition halls. Be the first one to secure this exclusive position! This elevator will be seen from all attendees walking in hall 7. 3 networks available from the esplanade in the direction of Halls 6 and 7. Have your brand be seen by all attendees passing by the esplanade entering halls 6 and 7 by promoting your brand early on these high visibility flags (Kakemonos). Stand out with these flower pots opportunity which will really highlight your brand directly to all attendees coming to the show. This large square is strategically placed on the esplanade leading to the main entrance of the venue, so your brand will be visible to all attendees entering the show. High visibility location to display your brand to all our show attendees – right from the start. Get visibility from straight from the entrance of the hall 6 – these giant posters are a real eye catcher and will attract visitors’ attention. Provide attendees with this NEW memorable experience to smell, touch and taste the various applied food & beverage ingredients. Have visitors sample your products at the main entrance points to the show. The New Product Gallery is a fantastic opportunity to promote your latest innovation. Put your products on a pedestal for all to see. 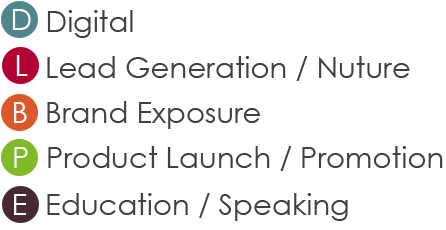 Present your new product applications and case studies in a 25-minute speaking slot. Meeting space off the show floor is the perfect way to host important 1-2-1 business meetings. Please inquire for the full list of prices and availability as these are sold on a first come first served basis. Engage with the Fi & Ni global audience all year round. Several options can be tailored based on your needs, including route planners, catalogues & preview guides.